Eye squares cooperation with University of Hannover and Dr. Steffen Schmidt brings up another interesting article. 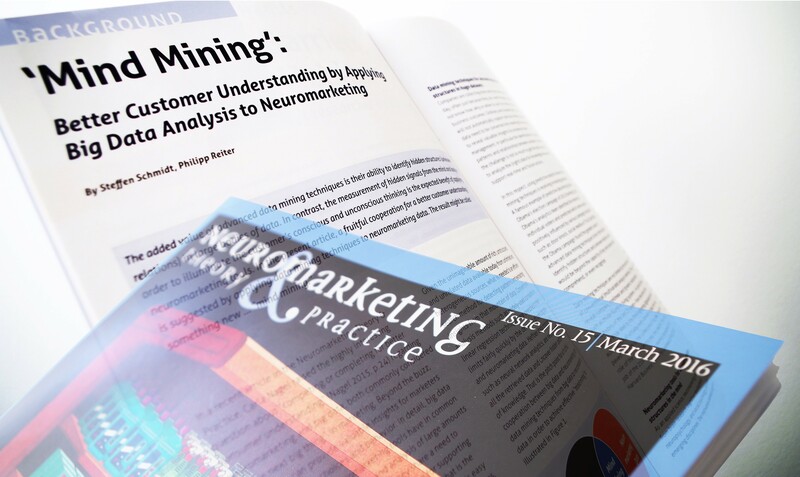 NSMBA monthly magazine “Neuromarketing Theory & Practice” prints the article in Issue No.15. 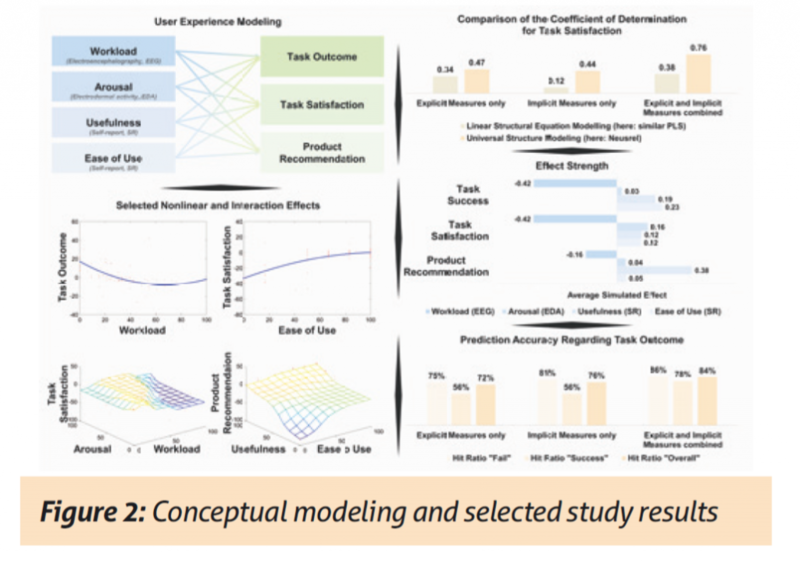 User Experience Modelling is still a broad field to discover especially with measures that go beyond the typical scales like SUS, NPS and measures of task success. “Better Customer Understanding by Applying Big Data Analysis to Neuromarketing” explains how USM (universal structural modelling) with Neural Networks can outperform SEM (structural equation modelling) when exploring new data sources and trying to find hidden structures. The results show how the Users Task Satisfaction can be predicted to a large extend with the combination of behavioral, explicit and neuro-measures.